Wooden Mayflower Tall Model Ship 4"
Wooden Santa Maria Tall Model Ship 14"
From the legendary HMS Beagle, to Christopher Columbus’s three renowned vessels, exploration ships allowed the discovery of the Americas, the Caribbean, and the Pacific, and helped usher in the New World. From the 1400s to the early 1900s, European powers sailed across the seas to broaden their influence. Find your favorite Exploration Ships at Handcrafted Model Ships, from the magnificent 30” Mayflower to the charming 7” Santa Maria. 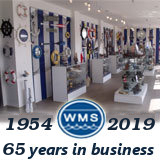 Perfect as centerpieces in the office or home, as fascinating conversation pieces, or as historic décor, each of these stunning ships has been faithfully researched and skillfully recreated for your enjoyment.